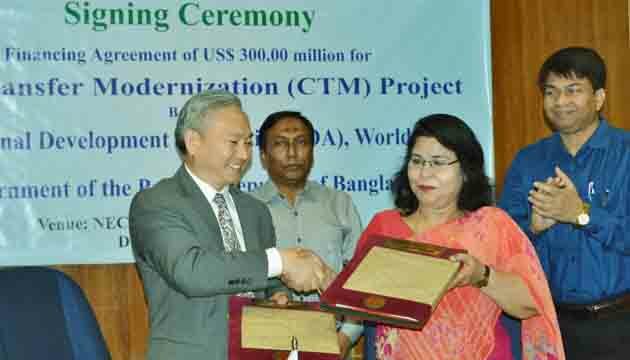 Bangladesh signe a $300 million financing agreement with the World Bank to improve the transparency and efficiency of its major cash transfer programs for the poorest. The government of Bangladesh today signed a $300 million financing agreement with the World Bank to improve the transparency and efficiency of its major cash transfer programs for the poorest and vulnerable, including the elderly, widows, and people with disabilities. The Cash Transfer Modernization Project will help the Department of Social Services (DSS) modernize the country’s four major social protection programs using cash transfers by improving beneficiary targeting, program administration, and benefit payments. The programs are: the Old Age Allowance; Allowances for the Widow, Deserted and Destitute Women; Allowances for the Financially Insolvent Disabled; and Stipends for Disabled Students. These programs collectively reach about six and half million of the country’s poorest people. In fiscal year 2018, Bangladesh spent about $5.8 billion on social protection or about 2 percent of its Gross Domestic Product and improving the efficiency of these programs will help Bangladesh to use public resources more effectively. The DSS has already started digitizing beneficiary records of its cash transfer programs, and the project will help further strengthen case management and payment processes. 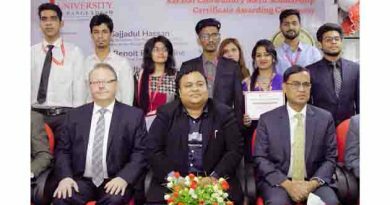 To accurately identify recipients of cash transfers, the project will help integrate DSS’s management information system with the Bangladesh Bureau of Statistics’ National Household Database. For more secure and accessible payments to beneficiaries, the system will be linked to the Finance Division’s centralized payment platform, and use a network of banking agents, among others. Such actions—utilizing existing or emerging systems—will help further develop an integrated social protection service delivery system in the country. 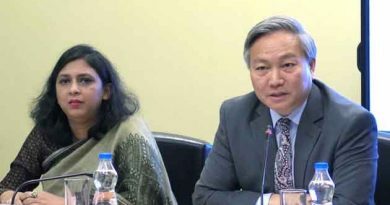 The agreement was signed at the Economic Relations Division by Mahmuda Begum and Qimiao Fan on behalf of the Government of Bangladesh and the World Bank, respectively. The credit is provided by the International Development Association, the World Bank’s concessional lending arm, which provides grants or zero-interest loans. The credit has a 38-year term, including a six-year grace period, and a service charge of 0.75 percent. 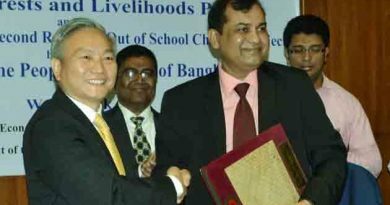 The World Bank was among the first development partners to support Bangladesh following its independence. The World Bank has since committed more than $29 billion in grants and interest-free credits to the country. Bangladesh currently has the largest IDA -program totaling $11.3 billion. Rising Temperature Affects Living Standards of 134 Million People :The WB Report . 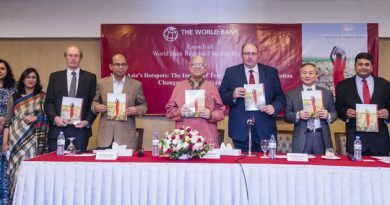 Economic Reforms Can Make Bangladesh Grow Fastest ; World Bank .